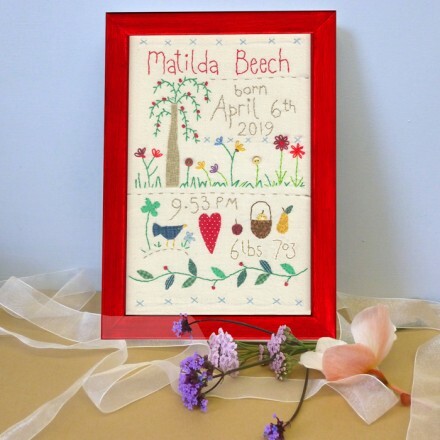 Record your Child’s birthday in a very special way with this charming picture. Hand stitched in a naive style and full of symbolic imagery for long life and happiness. Each picture comes with its own leaflet explaining all the imagery and the design origins. All frames are wooden and are available in either Natural Oak or painted in the colours specified with eco-friendly paints. Acrylic safety glazing. Please enter your personalised details (Name,Date,Time,Weight) please use the box provided. 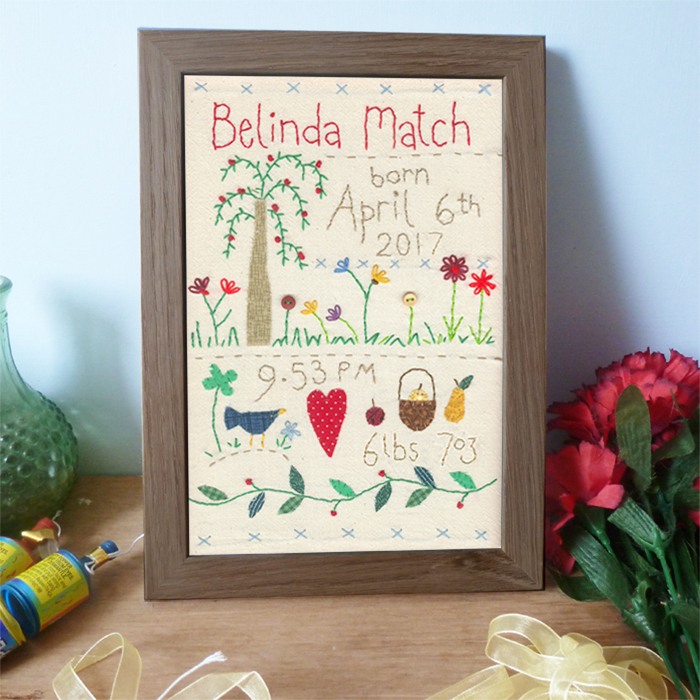 Delivery of Personalised Embroidered items is normally 5-7 days. If you require delivery for a specific date please contact us as we are usually able to meet most deadlines.